Your name is Kal-El. You are the only survivor of the planet Krypton. Even though you have been raised as a human being, you are not one of them. You have great powers, only some of which you have as yet discovered. 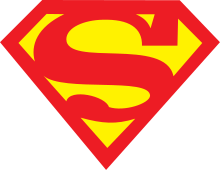 Superman (informally titled Superman: The Movie in some listings and reference sources) is a 1978 superhero film directed by Richard Donner. It is based on the DC Comics character of the same name and stars Marlon Brando, Gene Hackman, Christopher Reeve, Margot Kidder, Glenn Ford, Phyllis Thaxter, Jackie Cooper, Trevor Howard, Marc McClure, Terence Stamp, Valerie Perrine, and Ned Beatty. The film depicts Superman's origin, including his infancy as Kal-El of Krypton and his youthful years in the rural town of Smallville. Disguised as reporter Clark Kent, he adopts a mild-mannered disposition in Metropolis and develops a romance with Lois Lane, while battling the villainous Lex Luthor. [voiceover] Can you read my mind? Do you know what it is that you do to me? I don't know who you are. Just a friend from another star. Here I am, like a kid out of school. Holding hands with a god. I'm a fool. Will you look at me? Quivering. Like a little girl, shivering. You can see right through me. Can you read my mind? Can you picture the things I'm thinking of? Wondering why you are... all the wonderful things you are. You can fly. You belong in the sky. You and I... could belong to each other. If you need a friend... I'm the one to fly to. If you need to be loved... here I am. Read my mind. A chance for life, nonetheless... as opposed to us, you cannot ignore these facts! It's SUICIDE! No, it's worse. It's GENOCIDE...! (answering criticism from the Council leader) My friends, you know me to be neither rash nor impulsive. I'm not given... to wild, unsupported statements. And I tell you we must evacuate this planet immediately! [As he bids his infant son farewell before sending him to Earth] You will travel far, my little Kal-El. But we will never leave you... even in the face of our deaths... the richness of our lives shall be yours. All that I have, all that I've learned, everything I feel... all this, and more I... I bequeath you, my son. You will carry me inside you... all the days of your life. You will make my strength your own, and see my life through your own eyes, as your life will be seen through mine. The son becomes the father, and the father, the son. This is all I ... all I can send you, Kal-El. Live as one of them, Kal-El, to discover where your strength and your power are needed. Always hold in your heart the pride of your special heritage. They can be a great people, Kal-El; they wish to be. They only lack the light to show the way. For this reason above all, their capacity for good, I have sent them you... my only son. [watching Otis approaching the hideout] It's amazing that brain can generate enough power to keep those legs moving. If any human being were gonna perpetrate such a fantastic hoax, it would've been me! This is Lex Luthor. Only one thing alive with less than four legs can hear this frequency, Superman, and that's you. In approximately five minutes, a poison gas pellet containing propane lithium compound will be released through thousands of air ducts in the city, effectively annihilating half the population of Metropolis. I told you. That's Kryptonite, Superman. Little souvenir from the old home town. I spared no expense to make you feel right at home. [after he's explained how a meteor from Krypton can kill Superman] Doesn't it give you kind of a, a, a.... shudder.... of electricity through you to be in the same room with me? [repeated line; screams bloody murder] MISS TESCHMACHER-R-R-R-R-R!!!! I have to leave you now. No hard feelings. We all have our little faults. Mine's in California. [to Otis] Do you know why the number 200 is so vitally descriptive to both you and me? It's your weight and my I.Q. Some can read War and Peace and come away thinking it's an adventure story. Others can open the wrappers of chewing gum and unlock the secrets of the universe. You were great in your day, Superman. But it just stands to reason, when it came time to cash in your chips, this old "diseased maniac" would be your banker. Mind over muscle? There's a strong streak of good in you, Superman. But then nobody's perfect.... almost nobody. [A cat burglar is climbing up the side of a building. He looks up and sees Superman standing there] Hi there. Something wrong with the elevator? [Superman lands holding a cat burglar] Officer! Uh, good evening, Officer Mooney. Well, they say confession's good for the soul. [takes a handful of stolen jewelry out of the burglar's bag] I'd listen to this man. Take him away. [After getting "clubbed" on the head by a crowbar by a thief] Bad vibrations? Lois, Clark Kent may seem like just a mild-mannered reporter, but listen, not only does he know how to treat his editor-in-chief with the proper respect, not only does he have a snappy, punchy prose style, but he is, in my forty years in this business, the fastest typist I've ever seen. [to Clark] Hey, dork. Jimmy Olsen. Boy: [opening narration] In the decade of the 1930s, even the great city of Metropolis was not spared the ravages of the worldwide depression. In the times of fear and confusion the job of informing the public was the responsibility of the Daily Planet. A great metropolitan newspaper, whose reputation for clarity and truth had become a symbol of hope for the city of Metropolis. Miss Teschmacher: Why is it I can't get it on with the good guys? Desk Sergeant: [on seeing a boat in the middle of the street and Superman flying off] Mooney, first bottle's on me, let me get my hat. First Elder: [in the "extended" version of the film... following the trial and sentencing of General Zod and "Company"] An unpleasant duty has been masterfully performed, Jor-El. They have received the fate they deserved: isolation in the Phantom Zone, an eternal living death. Jor-El: This is no fantasy, no careless product of wild imagination. No, my good friends. These indictments that I have brought you today... specific charges listed herein against the individuals, their acts of treason, their ultimate aim of sedition... These are matters of undeniable fact. I ask you now to pronounce judgment on those accused. [referring to Non] On this... this mindless aberration, whose only means of expression are wanton violence and destruction. [referring to Ursa] On the woman Ursa, whose perversions and unreasoning hatred of all mankind have threatened even the children of the planet Krypton. Finally, General Zod - once trusted by this Council, charged with maintaining the defense of the planet Krypton itself. Chief architect of this intended revolution and author of this insidious plot, to establish a "New Order" amongst us... with himself as absolute ruler. You have heard the evidence. The decision of the Council will now be heard. General Zod: The vote must be unanimous, Jor-El. It has therefore now become your decision. You alone will condemn us if you wish and you alone will be held responsible by me. [Jor-El signals the Phantom Zone] Join us. You have been known to disagree with the Council before. Yours could become an important voice in the new order, second only to my own. I offer you a chance for greatness, Jor-El! Take it! Join us! You will bow down before me, Jor-El! I swear it! No matter that it takes an eternity! [screaming bloody murder] YOU WILL BOW DOWN BEFORE ME!! BOTH YOU AND THEN, ONE DAY, YOUR HEIRS!!! First Elder: An unpleasant duty has been masterly performed, Jor-El. They have received the fate they deserved. Isolation in the Phantom Zone; an eternal living death. Jor-El: A chance for life, nonetheless. As opposed to us...you cannot ignore these facts! It's suicide!! No, it's worse. It's genocide!! First Elder: Be warned, Jor-El. The Council has already evaluated this outlandish theory of yours. Jor-El: My friends, you know me to be neither rash nor impulsive. I'm not given to wild unsupported statements. And I tell you that we must evacuate this planet immediately!! First Elder: Jor-El, you are one of Krypton's greatest scientists. Second Elder: Ah, yes, but so is Vond-Ah. Vond-Ah: It isn't that we question your data. The facts are undeniable. It's your conclusions we find unsupportable. Jor-El: This planet will explode within thirty days... if not sooner. Vond-Ah: I tell you Krypton is simply shifting its orbit. Second Elder: Jor-El! Be reasonable! Let Krypton die?! Oh, never, Jor-El! This is just another one of your...mistaken fantasies. Jor-El: My friend, I have never been otherwise. This madness is yours...to do with as you wish. First Elder: This discussion is terminated. The decision of the Council is final. First Elder: Any attempt by you to create a climate of fear and panic among the populace must be deemed by us...an act of insurrection. Jor-El: You would accuse me of insurrection? Has it now become a crime to cherish life? First Elder: You would be banished to endless imprisonment in the Phantom Zone...the eternal void which you yourself discovered. Will you abide by the Council's decision? Jor-El: I will remain silent. Neither I nor my wife will attempt to leave Krypton. Executor: The energy input to Jor-El's quarters is now in excess. Our data indicates the loss is due to a misuse of energy. Second Elder: And if the investigation proves correct? First Elder: He knew the penalty he faced... even as a member of this Council. The law will be upheld. Jonathan Kent: Been showing off a bit, haven't you, son? Jonathan Kent: I know. You can do all these amazing things, and sometimes you think that you will just go bust unless you can tell someone about it. Clark Kent: Yeah!... I mean, every time I get the ball, I can make a touchdown. Every time! Is it showing off for a person to do what he's capable of? Is a bird showing off when it flies? Jonathan Kent: No! No, now you listen to me. When you first came to us, we thought that people would come and take you away because if they found out about the things you could do, well that worried us a lot. But then a man gets older and he thinks very differently better, starts to see things very clear. And there's one thing I do know, son. And that is, you are here for a reason. I don't know whose reason it is, or whatever the reason... maybe it's... I don't know.... but I do know one thing: it's not to score touchdowns. Clark Kent: Thanks Dad. C'mon Dad! I'll race you to it! Young Clark Kent: I have to leave. Martha Kent: I knew this time would come. We both knew it from the day we found you. Martha Kent: I know, son. I know. Do you... know where you're headed? Martha Kent: Remember us, son. Always remember us. Jor-El: My son, you do not remember me. I am Jor-El. I am your father. By now, you will have reached your 18th year as it is measured on Earth. By that reckoning, I will have been dead for many thousands of your years. The knowledge that I have, matters physical and historic, I have given you fully on your voyage to your new home. These are important matters, to be sure, but still matters of mere fact. There are questions to be asked, and it is time for you to do so. Here in this...this Fortress of Solitude, we shall try to find the answers together. So, my son, speak. Clark Kent: Who am I? Jor-El: Your name is Kal-El. You are the only survivor of the planet Krypton. Even though you have been raised as a human being, you are not one of them. You have great powers, only some of which you have as yet discovered. Jimmy Olsen: Golly, Miss Lane, how come you get all the best stories? Perry White: [to Clark] ...a good reporter makes them great. Lois Lane: Don't tell me. He sends a check every week to his sweet, grey-haired old mother. Clark Kent: Actually, she's silver-haired. Perry White: Yeah. I'll see what I can do. Lois Lane: I didn't think so. Lois Lane: So, how did you enjoy your first day on the job? Clark Kent: Frankly, the hours were somewhat longer than I expected, but meeting you and Jimmy and Mr. White on the whole, I think it's just swell. Lois Lane: "Swell"? You know, Clark, there are very few people left in the world these days who sound comfortable saying that word. Clark Kent: Really? It just sort of comes naturally to me. Clark Kent: [points the Mugger's gun away from himself and Lois] Now just a minute, mister. I realize times are tough for some these days, but this isn't the answer. You can't solve society's problems... with a gun. Mugger: You know something, buddy? You're right. I'm gonna turn over a new leaf. Clark Kent: Now, that's the spirit. [to Lois] See, he really doesn't want to hurt anybody. Mugger: Right after I rip off this lady's purse. Now c'mon, lady. Hand it over. Clark Kent: Now, Lois, I think you better... [Lois begins to hand the Mugger her purse, but instead drops it] Lois! What are you doing? Lois Lane: Clark! Clark, are you okay? Clark Kent: [wakes up] Golly, I... I guess I might have fainted. Lois Lane: Fainted? You fainted! Clark Kent: Sorry. [Lois walks away as Clark tosses the bullet aside] Really, Lois, supposing that man had shot you? Is it worth risking your life over ten dollars, two credit cards, a hairbrush, and a lipstick? Clark Kent: [looks in] Hmm. Wild guess. [runs off] Taxi! Miss Teschmacher: Sick! Sick. You're really sick! Lex Luthor: Sick, Miss Teschmacher? When I'm mere days away from executing the Crime of the Century? How do you choose to congratulate the greatest criminal mind on our time? Do you tell me that I'm brilliant? A bit obvious, that, I grant you. Charismatic, then? Fiendishly gifted? Miss Teschmacher: [laughs] Try twisted. Lex Luthor: Get away from there! I said get away from there!! Miss Teschmacher: [closes the drawer] Tell me something Lex, why do so many people have to die for the Crime of the Century? Lex Luthor: Why? You ask why? Why does the phone always ring when you're in the bathtub? Why is the most brilliantly diabolical leader of our time surrounding himself with total nincompoops? Otis: [enter] I'm back, Mr. Luthor. Lex Luthor: Ah yes, Otis, I was just talking about you. You were followed again. [Otis spins around, knocking over a lamp] In spite of those catlike reflexes. Otis: Mr. Luthor? Mr. Luthor, I'm sorry. Lex Luthor: Otis, is that the newspaper I asked you to get me? Otis: [looks at the newspaper] Yeah. Lex Luthor: Why am I not reading it? Otis: [thinks for a second] 'Cause I haven't given it to you yet? Lex Luthor: [smiles] Right. [snatches the newspaper from Otis' hand and reads it] At last it's official! [shows the front page of the newspaper, the headline reading "TWIN NUCLEAR TESTS CONFIRMED".] Thanks to the generous help of the United States government, we are about to be involved in the greatest real estate swindle of all time! Miss Teschmacher: Lex, what is this obsession with real estate? All the time --- land, land, land. Lex Luthor: Right. It's a pity he didn't see how, from such humble beginnings, I've created this empire. Miss Teschmacher: An empire? This? Lex Luthor: Miss Teschmacher, how many other girls do you know who are lucky enough to have a Park Avenue address like this one? Miss Teschmacher: Park Avenue address? 200 feet below? Lex Luthor: Do you realize what they're all paying per square foot up there for a few miserable rooms off a common elevator? [in unison with Otis] What more could anyone ask? Miss Teschmacher: Sunshine. A night on the town instead of under it. Pimp: That's a bad outfit! [Superman flies off] Whoo! Superman: Easy, miss. I've got you. Lois Lane: You... you've got me? Who's got you? Superman: Gentlemen, this man needs help! [to Lois] Well, I certainly hope this little incident hasn't put you off flying, miss. Statistically speaking, of course, it's still the safest way to travel. Lois Lane: Wait! Who are you? Superman: A friend. [flies away] Bye. Little Girl with Cat: [running into her house after Superman leaves] Mommy! Mommy! Frisky was stuck in a tree! A man swooped out of the sky and gave him to me! Superman: I don’t know what to say. I guess I just got carried away. Jor-El: [gently] How good it felt! Jor-El: You are revealed to the world. Very well. So be it. But still you must keep your secret identity. Jor-El: The reasons are two: First, you cannot serve humanity 28 hours a day. Jor-El: Or 24, as it is in Earth time. Your help would be called for endlessly, even for those tasks which human beings could solve themselves, because they're happy to abuse their resources in such a way. Jor-El: Second: Your enemies will discover their only way to hurt you by hurting the people you care for. Lex Luthor: Miss Teschmacher! Turn it off. Miss Teschmacher: Lex, what's the story on this guy? Do you think it's the genuine article? Lex Luthor: If he is, he's not from this world. Lex Luthor: Because, if any human being were going to perpetrate such a fantastic hoax, it would have been me! Otis! My robe! Otis: Right away, Mr. Luthor! Lex Luthor: It all fits somehow, his coming here to Metropolis. And at this particular time. There's a kind of cruel justice about it. I mean, to commit the crime of the century, a man naturally wants to face the challenge of the century. Otis: Listen, Mr. Luthor, maybe this guy that flies is just sort of passing through, you know? Lex Luthor: [as Otis helps him putting on his robe] Passing through? Not on your life. Which I would gladly sacrifice, by the way, for the opportunity of destroying everything that he represents. And, Otis, by the way, next time put my robe on AFTER I've left the pool. Perry White: [to a crowd of reporters] The Post: "IT FLIES!" The News: "LOOK MA - NO WIRES!" The Times: "BLUE BOMB BUZZES METROPOLIS". The Planet. Perry White: We're sitting on top of the story of the century here! I want the name of this flying whatchamacallit to go with the Daily Planet like bacon and eggs, franks and beans, death and taxes, politics and corruption. Clark Kent: I, I don't think he would, uh, lend himself to any ch-cheap promotion schemes, though, Mr. White. Perry White: Exactly how would you know that, Kent? Clark Kent: Um . . . uh, uh, j-just a first impression? Perry White: Well anyway, who's talking cheap? I'll make him a partner if I have to! Right? Perry White: I want the real story! Perry White: I want the inside dope on this guy! Has he got a family? Where does he live? What does the "S" stand for? Family? Relatives? Lois Lane: "TONIGHT AT EIGHT - YOU PLACE - HOPEFULLY - A FRIEND". Perry White: How does he fly? Perry White: Who is he, what's his name, What's he got hidden underneath that cape of his, Batteries? Why did he show up last night, Where does he come from? [to Lois] Does he have a girlfriend? [to Clark] What's his favorite ball team, Kent? Now, listen to me! I tell you boys and girls, whichever one of you gets it out of him . . . is going to wind up with the single most important interview since... God talked to Moses! What are you standing around about for? Move! Get on that story! Lois Lane: Eight o'clock, he says eight o'clock. Hm. Some friend. Lois Lane: Story of my life. Lois Lane: Cinderella bites the dust. Superman: Good evening, Miss Lane. Lois Lane: U-Uh . . . hi! Superman: Oh, I'm sorry. Did you have plans this evening? Lois Lane: Oh, this old thing . . .
Lois Lane: . . . no. Lois Lane: Um, er, uh . . .
Lois Lane: . . . sure, you can move. Um, just don't fly away, all right? Superman: Sorry to, uh, just drop in on you like this, Miss Lane, but I've been thinking. You know, there must be a lot of questions about me that people in the world would like to know the answers to . . .
Lois Lane: Of course. Yes. Uh . . .
Superman: Uh, you really shouldn't smoke, you know, Miss Lane. Lois Lane: Don't tell me. Lung cancer, right? Superman: Well. Not yet, thank goodness. Lois Lane: Oh, thank you. Thank you. Um . . . should we get started with that interview? Lois Lane: Oh! Huh. Thank you. Lois Lane: Well, ah, let's start with your vital statistics. Are you married? Superman: Uh, no. No, I'm not. Lois Lane: Do you have a girlfriend? Superman: Uh, no, I don't, but, uh, if I did, Miss Lane, you'd be the first to know about it. Lois Lane: Um, how old are you? Lois Lane: Oh, I get it, you don't want anyone to know how old . . .
Lois Lane: And how big are you? . . . How tall are you? Lois Lane: Six-foot-four and, uh, how much do you weigh? Superman: Hm, around two, two-twenty five. Lois Lane: Uh, well, um, um, I assume then that - that the rest of your bodily functions are . . . normal? Superman: Sorry, beg your pardon? Lois Lane: Well, putting it delicately. Lois Lane: Do you . . . eat? Superman: Uh, yes. Yes, I do. When I'm hungry. Lois Lane: You do? Of course you do. Lois Lane: Well, then. Uh, is it true that uh, you can . . . .see through anything? Superman: Yes, I can. Well, pretty much. Lois Lane: Mm-hm, and that you're, uh, totally impervious to pain? Lois Lane: What color underwear am I wearing? Lois Lane: Oh, I'm sorry. I embarrassed you, didn't I? Superman: Oh, No, no, not at all, Miss Lane, it's just that this planter must be made of lead. Lois Lane: Uh, yes it is. So? Superman: Well, you see, I, uh, I sort of have a problem seeing through lead. Lois Lane: Oh! That's interesting. [writing] 'Problem seeing through lead.' Hmmm. Uh, d-do you have a first name? Superman: What, do you mean like Ralph or something? Lois Lane: No, no, I mean like, uh . . .
Superman: Um, sorry, Miss Lane, I didn't mean to embarrass you. Lois Lane: Oh, huh, you didn't embarrass me. Um, uh, what's your background? Uh, where do you hail from? Superman: Well, that's kinda hard to explain actually. See, I'm from, um, well, pretty far away. Another galaxy, as a matter of fact. I come from a planet called Krypton. Lois Lane: With a C-R-I? Superman: Uh . . .
Superman: No, a-actually, it's K-R-Y-P-T-O-N.
Lois Lane: K-R-Y . . .
Lois Lane: . . . do you like pink? Superman: I like pink very much, Lois. Lois Lane: Why are you? Lois Lane: I mean, w-why are you here? There must be a reason for you to be here. Superman: I'm here to fight for truth and justice and the American way. Lois Lane: You're gonna end up fighting every elected official in this country! Superman: I'm sure you don't really mean that, Lois. Lois Lane: [to herself] I don't believe this. Superman: Lois, I never lie. Lois Lane: Oh. Um . . . uh, oh! Just how fast do you fly . . . by the way? Superman: Oh, I don't know really. Y'know, I've never actually, uh, bothered to time myself. Superman: Say. Why don't we find out? Lois Lane: And how do you propose we do that? Superman: Take a ride with me? Lois Lane: You mean I could fly? Superman: Well, actually, I'd be handling the flying if that's okay. Lois Lane: This is utterly fantastic! Superman: Wait, wait a minute, where are you going? Lois Lane: Are you serious? Superman: Sure. What's the matter, don't you wanna go? Okay. Lois Lane: I mean. A sweater. It must be kind of cold? Superman: You'll be warm enough. Lois Lane: Clark . . . said that you're just a figment of somebody's imagination. Like Peter Pan. Superman: Clark, uh. Who's that? Your boyfriend? Lois Lane: Clark? Oh, Clark, no, he's nothing, he's just, uh . . .
Superman: Peter Pan flew with children, Lois. In a fairy tale. Superman: We forgot to time ourselves. Maybe next time. Lois Lane: [thinking to herself] What a super man! [pauses] Superman! Clark Kent: [from behind the door] Anybody home? Hello? Lois? Clark Kent: Hi. Can I come in? Lois Lane: [still infatuated with Superman] Oh, yeah. Clark Kent: Lois, for goodness sake, didn't you hear me knocking? Lois Lane: [still in an infatuated, dream-like state] Uh-huh! Clark Kent: Lois, we did have a date tonight, remember? Clark Kent: [performing a hand gesture for drinking] You haven't been? Lois Lane: Oh! No. No. Clark Kent: Well, I certainly hope not. Well, let's push off, shall we? Lois Lane: I'd better get a coat. Clark Kent: [reverting back to Clark's voice] I mean ... I was at first really nervous about tonight. But then I decided, well darn it, I was going to show you the time of your life. Lois Lane: [opening the door, still infatuated with Superman] That's Clark nice. Miss Teschmacher: It's too good to be true! He's 6'4", has black hair, blue eyes, doesn't drink, doesn't smoke, and tells the truth! Lex Luthor: Miss Teschmacher, some people can read War and Peace and come away thinking it's a simple adventure story. Others can read the ingredients on a chewing gum wrapper and unlock the secrets of the universe. Miss Teschmacher: Lex, what has chewing gum got to do with the secrets of the universe? Lex Luthor: [sighs] Right, Miss Teschmacher. Right. Otis: 'M'! You want 'M', Mr. Luthor? Comin' right up! Otis: So, there you go, 'M'. Lex Luthor: 'M' as in Moron, Otis? No, no, no, it's 'N'! 'N' as in Neanderthal, Nincompoop, Nitwit! And 'L' as in Ladder! Miss Teschmacher: [reading the article] A meteorite found in Addis Ababa. I know I'm gonna get rapped in the mouth for this, but so what? Lex Luthor: So what. You mean, to us, they're just meteorites. Fair enough. But the level of specific radioactivity is so high, to anyone from the planet Krypton, this substance is lethal. Miss Teschmacher and Otis: [in unison] ... will kill him! Lex Luthor: Doesn't it give you, like, a shudder of electricity to be in the same room with me? Miss Teschmacher: Not like the shudder you're gonna get when you try to lay that rock on him. He can see you coming for miles with those super-peepers of his. Lex Luthor: "Oh, Lord. You gave them eyes, yet they cannot see." Nor can Superman, through lead. Miss Teschmacher: [understanding] He can't see through lead! Lex Luthor: And Kryptonite will destroy him. Any questions, class? Miss Teschmacher: [thinking to herself] I wonder what they're wearing in Addis Ababa? Otis: [looking at the picture in the article] Looks like a burnoose. [gasps] Are we going to Addis Ababa, Mr. Luthor? Lois Lane: As you know, my newspaper, the Daily Planet, is very interested in that dam, Chief, but what I don't understand is why you would sell out to a faceless person that you've never met. I mean, you don't even know his name. Indian Chief: At the stupid high price that he offered for this worthless piece of desert, I hope it's Custer! Lex Luthor: It's open, come in. My attorney will be in touch with you about the damage to the door. Otis, take the gentleman's cape. Otis: I don't think he wants me to, Mr. Luthor. Superman: All right, Luthor. Where's the gas pellet? Lex Luthor: Somewhere... hidden in the back of my mind, actually. It's a little idea I was toying with. Lex Luthor: No. By causing the death of innocent people. Otis: Uhhh... Lex Luthor, Incorporated. Lex Luthor: Fall into the sea. Bye-bye, California. Hello, new West Coast. My West Coast. Lex Luthor: Costa Del Lex. Luthorville. Marina del Lex. Otisburg... Otisburg? Jimmy Olsen: Golly, Miss Lane, it's too bad Mr. Kent wasn't here to see all this. Jimmy Olsen: Let me tell you something, Miss Lane: I think he really cares about you. Lois Lane: Clark? Of course he does. Superman: Good evening, Warden. I think these two men should be safe here with you now till they can get a fair trial. Warden: Who is it, Superman? Lex Luthor: [removes his toupeé] Lex Luthor, the greatest criminal mind of our time! Lex Luthor:[to Otis] Would you shut up, please! Ya fat, li'l fool! Superman: No, sir. Don't thank me, Warden. We're all part of the same team. Good night. It was Tom Mankiewicz. I had known him since he graduated Yale as an “intellectual writer” who found himself writing James Bond [with his scripts for the 1970s films “Diamonds Are Forever,” “Live and Let Die” and “The Man with the Golden Gun“] but always wanted to write something that was going to change the world. When we read what we had and we got permission for rewrite, I approached Tom and told him I was looking for two things: One, we have to convince the audience that a guy can really fly; the other is that this has to be a love story. The minute he heard that, he cottoned to it and decided to make the movie. I have a little cutout of Superman, it shows him flying in the cloud, and he was dragging a word on his cape: Verisimilitude. It came from Tom. We wanted to do this — and it’s a comic book, but it had to have its own sense of reality. You don’t parody it. That was the most important decision. Richard Donner "Richard Donner: No one will ever play Superman the way Christopher Reeve did", Geoff Boucher, LA Times: Hero Complex, June 1, 2011. The movie that makes a legend come to life. Look, up on the screen! It's Superman!